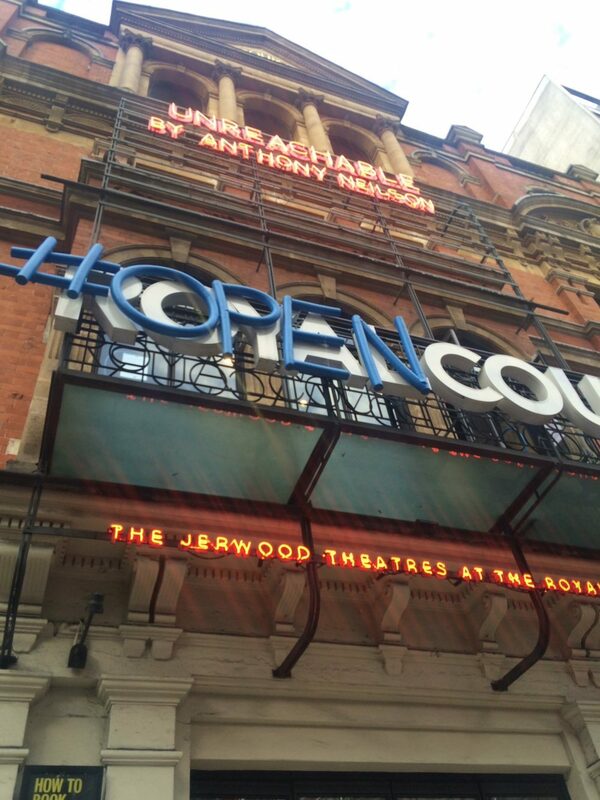 To discover the hottest new plays in London, we sent one of our Social Ambassadors, Chloe Jacobs, along to the Open Court festival at the Royal Court theatre. Read all about her experiences and the incredible new shows that were showcased. 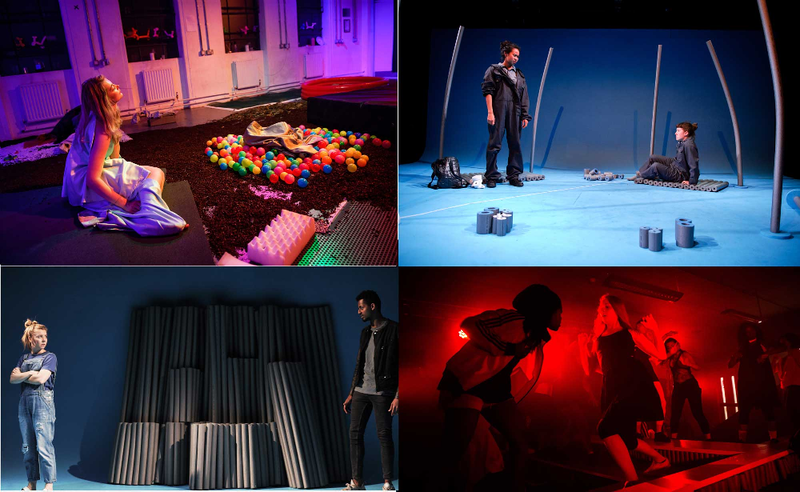 I was lucky enough to attend all three nights of Presenting… at the Royal Court as part of their Open Court festival. If you’re not sure what that is, Presenting… was three nights of new writing by exciting young playwrights, performed by young actors from the National Youth Theatre. It was all about new, unheard voices and stories, so I had absolutely no idea what to expect. I had never been to the Royal Court before this TodayTix excursion, so I was very curious to see what it was like on the inside and, as I am an exceptionally lazy human being, how far it was from the station. To my delight, the building was awesome and the theatre itself was so close to Sloane Square station they were practically on top of each other. A bottle of rum was placed centre stage, the lights went down, and two actors walked on. The lights came up and Jasmine Jones’s Say Her Name began, an unflinching debate about police brutality the #BlackLivesMatter movement, made all the more raw and poignant by the protests on this issue breaking out over London in recent weeks. The piece was electric and I knew attending this festival was an excellent idea the second Christine Gomes and Oscar Porter started circling each other like cage fighters. The Night Tella, written and performed by Sarah Milton, was similarly close to the bone. Combining spoken word poetry and theatre, the play is a moving exploration of female friendship and sexual assault in the wake of events like the Stanford sexual assault case. Sarah Stephenson’s Storm Proof was on the other end of the spectrum, distant, exploring friendship in an otherworldly fall-out shelter. Mark Hannah’s Stories from Northern Britain stood out in a night of amazing performances. It’s a one-man show about young adult life in Britain and it was honestly side-splittingly funny, the audience could not get enough. I cornered Mark in the Royal Court bar after the show and word-vomited praise on him; I don’t think the poor guy has recovered. I left the theatre absolutely enthused and inspired, it was an experience unlike any other I’d encountered and I couldn’t wait to do it all again. The second night I worried that it wouldn’t quite match up with the high expectations the first night had set; boy, was I wrong. I Don’t Know Where I Am by Zeyana Yussuf was abstract and full of poetry, with a pendulous microphone swinging back and forth across the stage. Just Because I’m Paranoid Doesn’t Mean I’m Not Being Followed by Benedikt Päffgen was a wonderfully weird and absolutely hilarious satire of xenophobia in Britain. My favourite scene involved a reluctant Government Officer in sparkling silver trousers being sent to kill a room full of ‘hippies’ with a meat cleaver. All of the pieces were astounding, but I haven’t stopped thinking about Serafina Cusack’s Failing at Failing. Lauren Lyle and Michael Workeye delivered a moving, funny and sensitive two-hander about two characters that meet in a suicide prevention group, I have no doubt we will have to pay a lot of money to see them perform one day. I went home absolutely stunned by the quality of what I had seen. I can’t believe anyone could berate my generation, call us disinterested and indifferent, when we are capable of creating this kind of magic. I spent the whole of the next day whiling away the hours, checking the time constantly, anxious to be back at the Royal Court. My final night at Presenting… was bittersweet. I could not wait to see what wonders were in store but, after three days, my visits to the theatre had become almost a routine and I was sad to break it. The final shows were Precious by Tristan Fynn-Aiduenu, which was a fantastical exploration of family and war, interspersed with a madcap cooking show and impressive rap-poetry. Cheap Justice by Rebecca Porter turned the idea of a trial by a jury of your peers on its head while Roman Candle told a heartbreaking story as one woman show. Written by Tom Fowler and performed with uncontainable talent by Lisa Marie Ashworth, it closed the show with fireworks. It was a brilliantly strong finish, exploring poverty, hope and desperation so powerfully that the audience audibly responded throughout. After the show, I went down to the bar to find those I had admired and bury them in praise and congratulations. I chatted to Jasmine Jones, who recently wrote an article on young people in theatre, about why I thought this series of performances was so important. Theatre seems so often like an exclusive club, you can’t get your work on stage unless you’re established and you can’t get established unless your work is on stage. I’ve often thought that my only chance to get one of my plays performed is to try and do it myself. It’s an incredibly difficult system to break into, particularly when you’re young and writing about what is relevant and controversial in your own life, not to mention the added complexities of gender and race. The Royal Court and other like-minded theatres are giving us an opportunity to get our work out there and our voices heard, and that is an incredible gift. Our discussion was abruptly cut off, however, when Benedict Cumberbatch strolled into the bar wearing a fedora. He was followed closely by Matt Smith, who was starring in Unreachable at the time. It was a very surreal close to an incredible few days. The real question is, will I be attending Open Court next year? I wouldn’t miss it for the world. Want to know more about our Social Ambassadors? Meet the TodayTix Squad here!